Brightpearl is an omnichannel retail management system that consolidates the point of sale experience on all of your different sales channels onto a single platform. It also offers additional features like an accounting platform and warehouse management system. 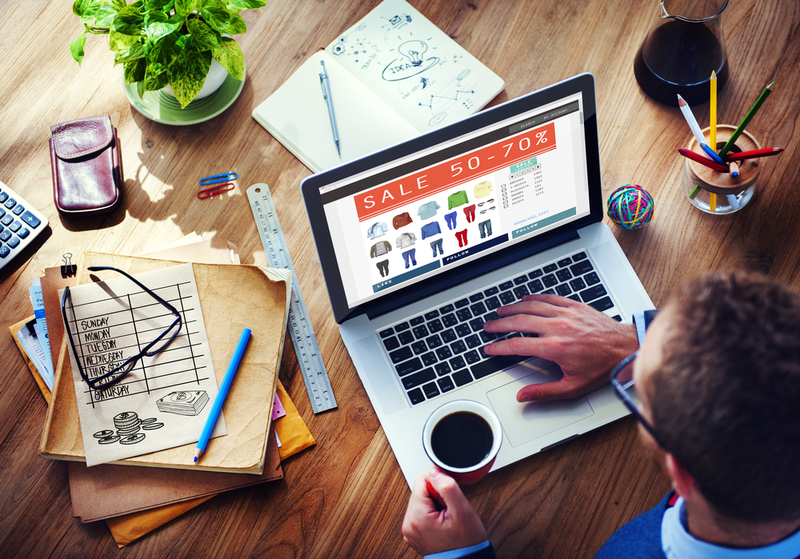 Today, many retailers are becoming omnichannel sellers in order to better meet customers where they’re at. This means they make their products available for purchase in a variety of places, such as in a physical store, online, over the phone, and on various ecommerce marketplaces like Amazon and eBay. 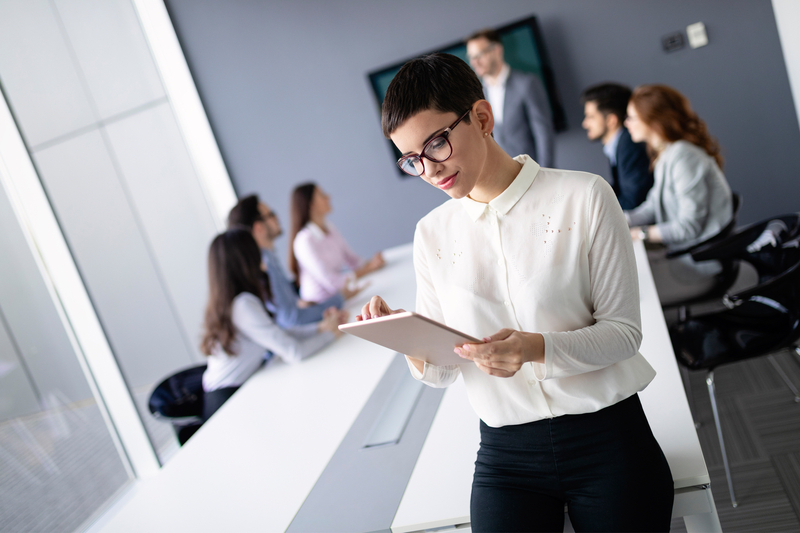 Having to manage sales orders from so many different places can be a challenge for a business owner—you need to oversee fulfillment, update inventory, place purchase orders, and transfer sales information into your accounting system. There almost aren’t enough hours in the day. Enter Brightpearl: A retail operations software that allows business owners to consolidate their omnichannel sales strategy onto a single platform. Brightpearl launched in 2007 after co-founder Chris Tanner found there wasn’t a merchant services provider on the market that could handle a multi-channel sales approach. Today Brightpearl works with over 1,400 retailers and has processed over $2.5 billion in sales. Let’s take a closer look at what Brightpearl does to see if it can help your retail business. Brightpearl is a complex piece of software that consolidates the point of sale (POS) experience on all of your individual sales channels in one cloud-hosted platform. So if, for example, you receive an order through your Shopify store and via the Amazon Marketplace, both of those orders will be routed through Brightpearl, giving you one place to process payment, arrange shipping, and update inventory. Brightpearl is so complex that when you sign up you’ll be paired with a project team comprised of a team manager and implementation consultant. Even then, implementation can take as long as 90 days. Your team will create an implementation plan, migrate all of your data onto the Brightpearl platform, configure your system, prepare training and educational materials for you and your staff, test and launch your platform, and then optimize your system after launch to make sure it’s working the way you want it to. Brightpearl offers solutions that are tailored to your business’s needs. On its website, Brightpearl breaks down how it can help businesses that sell primarily online (including dropshippers), wholesale, or at a physical location. There are also unique solutions based on the ecommerce channels you use, including Shopify, BigCommerce, Magento, Amazon, and eBay. Sales order management means being able to take sales orders from all your channels and manage them in one place. This is the heart of the Brightpearl product. From your platform you can automatically process orders, allocate inventory, route orders to the right warehouse, and invoice sales. You can also assign custom order statuses to track orders from creation to completion, place items on backorder, manually enter orders offline, and send quotes and order confirmations. While the exact number of orders Brightpearl can process per hour or per day varies by the sales channels you use, the system is designed to process high order volumes. On your Brightpearl platform you get full visibility into inventory levels at any location. Inventory levels are automatically updated in real time based on inventory sales, warehouse-to-warehouse transfers, returns, and restocks. Other features include the ability to change pricing from your platform and track product assembly and raw material inventory. Brightpearl also has an “inventory planning” suite where you can access information about how your inventory is performing to help you make more cost-effective decisions. In the inventory planning suite you can view reports on historical sales data, product cost, seasonality, out of stock periods, average sales, and sales trends to inform future stock orders and ensure they are aligned with customer demand. You can also create individual inventory dashboards to track inventory KPIs by date range. Businesses can arrange shipping and fulfillment using Brightpearl’s 25 different automation conditions, allowing shipping rates and delivery time to be automatically determined based on the product order and customer location. You can also track and manage inventory in a store, warehouse, at a supplier, or all of the above. Brightpearl integrates with a variety of shipping management tools (ShipStation, ShipTheory) that allow you to generate shipping labels, and you can also configure cost breaks for your different shipping methods, or adjust price according to weight and quantity. When it comes time to replenish stock, Brightpearl makes it easy to place purchase orders to your vendors. You can onboard your suppliers, order new stock, and complete payment all from your platform. You can also set automation conditions so that certain items are automatically reordered when stock counts are low. Your system also tracks unit costs, margins, and revenue separately for each vendor. If you’re a large retailer you need to work closely with your warehouse. To that end, Brightpearl offers a warehouse management system that allows you to keep track of the items moving in and out of your warehouse and reduce mispicks and other warehouse errors. 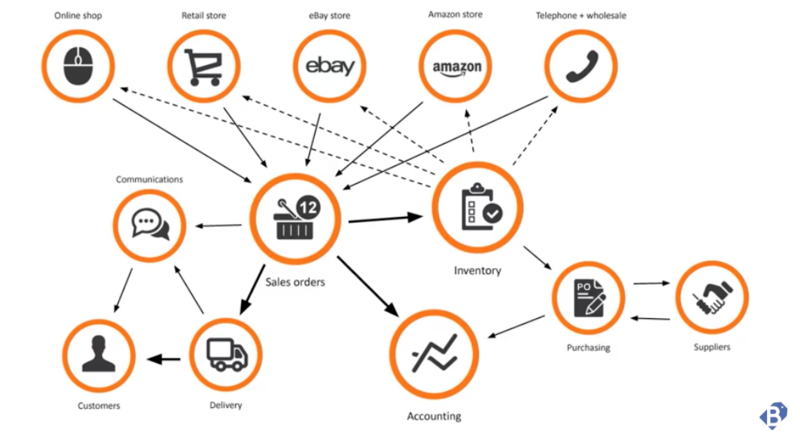 It works by connecting with your sales order management interface to track new orders, returns, and corrections. You can also track your inventory stock counts, assign barcodes to specific products, locations, and shipments, and reconcile deliveries and returns. Brightpearl provides an accounting platform that integrates with your other systems to allow you to track the value of your inventory, your cost of goods sold (COGS), and your profit margins on goods sold. Brightpearl will also update your profit and loss statement and balance sheet with every invoice, payment, processed shipment, and inventory order. You can also reconcile bank statements, track accounts payable and receivable, and perform accounting in multiple currencies. If you’d rather use your own accounting software, Brightpearl integrates with most major providers. Brightpearl allows you to generate a variety of reports that can provide you with insight into your business’s performance across all your sales channels. You can generate reports on accounts payable and receivable, purchase orders, inventory replenishment, product performance, profit margins, and more. Brightpearl does not process payments on its own, but it does integrate with a variety of third-party payment gateways, including Authorize.Net, Braintree, Sage Pay, PayPal, Worldpay, USAePay, Stripe, and iZettle. You can also accept phone order transactions through Brightpearl’s virtual terminal, or send custom invoices directly from your payments platform. Other features include the ability to save cards on file, set custom permissions for your staff, and process in-person payments using Brightpearl point of sale (more on this later). Access to your customers’ full transaction history and personalize your marketing communications across all your sales channels with Brightpearl’s CRM database. From here you can store customer contact information, view their order history, manage payment options, and segment your customers with customizable tags. You can then arrange and automate marketing communications via an integration with MailChimp. On top of everything else, Brightpearl has a point of sale app that can run on iOS devices to process in-person transactions as well as online sales. The POS syncs all your sales, inventory, customer, and payment information in real-time, and allows you to set custom permissions for different members of your staff, apply discounts, refunds, and store credit, send digital receipts, and take payments offline. The POS system also integrates wirelessly with POS hardware, and provides preferential rates for card payments using PayPal Here hardware. Aside from the ones we’ve already mentioned, Brightpearl integrates with a variety of other software applications that can extend the functionality of your platform. In the Brightpearl app store you can choose from marketing, accounting, shipping, inventory, and reporting tools. In addition to the implementation and training services you get when you sign up, you can also contact customer support during regular business hours via phone and live chat. On its website, Brightpearl says its average response time to customer inquiries is 26 minutes. There is also 24/7 email support. Brightpearl also operates a resource center with a variety of guides and how-tos, plus a community forum where you can talk to other Brightpearl users. Brightpearl pricing is entirely quote-based and depends on the specific needs of the business. While the website does not list any specific pricing information, in reviews users say Brightpearl charges a flat monthly fee based on the level of service the business is getting and the number of users on the account. Brightpearl consolidates all of your sales channels in a single place, which makes managing your business a whole lot easier. Furthermore, Brightpearl learns how your business operates and then automates essential tasks, like purchase orders and order fulfillment. These types of functions allow you to spend less time performing back office tasks and more time building your business. Brightpearl provides all of the functionality of an enterprise resource planning (ERP) system—a system that gives access to enterprise data from multiple activities using common constructs, definitions, and user experiences. In the past, ERPs were reserved for large businesses that could afford to host them. But with the advent of cloud computing, they have become more widely available to businesses of all sizes. Brightpearl’s reporting functions are that of an ERP, and it is designed to work with businesses of all types. In reviews, users rave about the level of insight Brightpearl is able to provide into their business operations—from inventory to sales history, and much more. A system that does as much as Brightpearl is going to take awhile to learn how to use, even with customized onboarding and training. In reviews, users have reported feeling overwhelmed by everything that the system does. With any point of sale you are going to face a learning curve, but Brightpearl’s range of functions amplifies it. Lightspeed Retail offers some omnichannel functions while still being more of a basic POS system. Prices start at $99 per month plus hardware costs, and with that you get in-house payment processing, a management interface for inventory, customers, and employees, plus Lightspeed syncs with your ecommerce website, allowing you to manage both your physical and virtual stores in one place. Again, its functions aren’t as expansive as Brightpearl, but it offers some of the functionality at a lower cost. If you want to really simplify things, try Square for Retail. This is a retail version of Square’s POS software, and includes payment processing, inventory, customer, and employee management, plus reporting tools. It also works with Square’s popular POS hardware, and you get favorable payment processing rates. 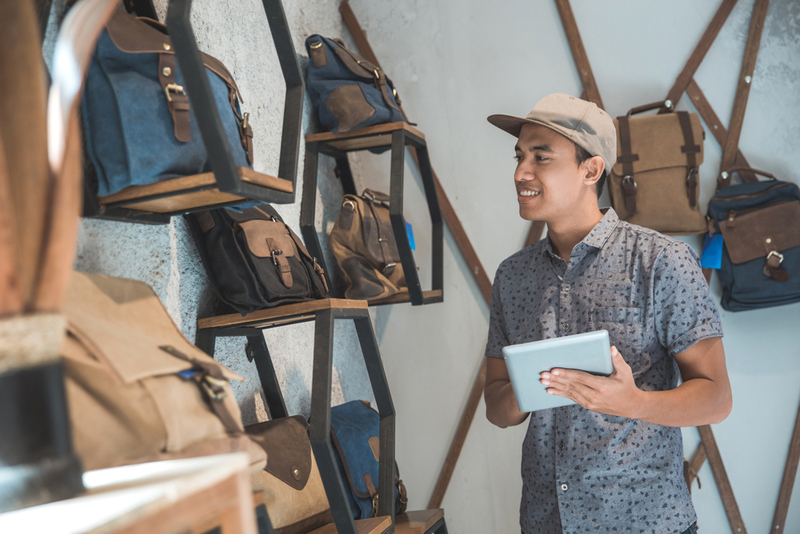 It doesn’t offer omnichannel functionality like Brightpearl and Lightspeed, but at $60 per month it can work for small brick-and-mortar retailers. Is Brightpearl Right for Your Business? We recommend using Brightpearl if you are a retailer who sells your products through at least two different sales channels. Overall, the more sales channels you use, the more functionality Brightpearl can offer to you and your business. Generally speaking, businesses that sell on multiple sales channels are past the early growth stages, meaning Brightpearl is probably not a good fit for small business owners just starting out. If that’s you, we’d recommend first establishing a foothold on one specific sales channel. As your business grows and you expand to other sales channels, you should then consider an omnichannel product like Brightpearl.